Mind The Gap is back this Wedneday April 22nd. We have Abuse The Youth back again before the jet off to Singapore for a series of shows at The Esplanades Rockin The Region concerts. Plot also make a welcome return with their edgy post wave sounds, really great band. 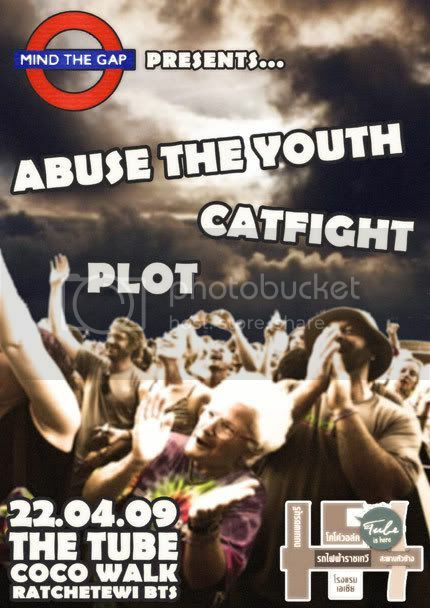 You must also be sure to check out Cat Fight, brilliant punk/rap hybrid quite beastie boysish! Love it!